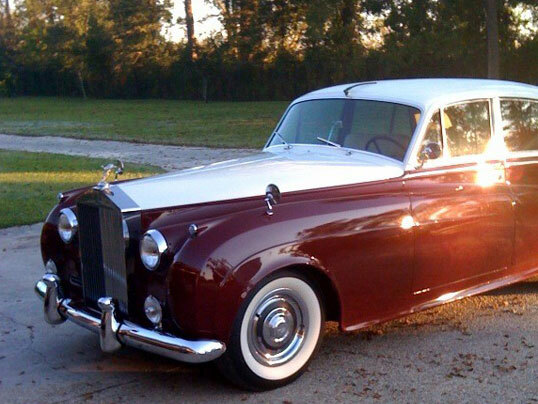 1960-65 Rolls-Royce Silver Cloud II & III & “S” Series Bentleys. For the Pre Cloud I, we offer underdash, trunk and dual solutions. 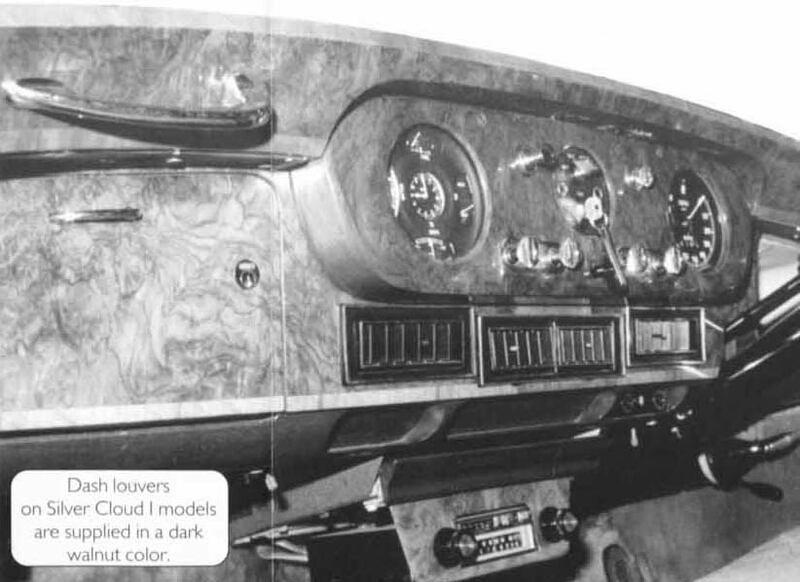 For the 1955-65 models, we offer in dash, trunk and dual solutions. For extended wheel base and driver’s partition models, we recommend the dual solution. We can also customize solutions for other Rolls’ and Bentley’s. Please contact us directly to discuss options. The air-conditioner that delivers the appearance and performance of a factory-installed system. The system is complete - every nut and bolt is supplied. All parts have been carefully selected to meet the exacting standards of the Rolls-Royce or Bentley owner. Only existing dash ports are used in order to retain the authenticity of the automobile. It isn’t necessary to alter the dashboard. The evaporator-blower assembly fits up in the dash, above the picnic table for that sought after, but rarely achieved, factory in-dash appearance. Original Air has developed this system specifically to meet the standards of the world’s finest automobiles. Every effort has been made to use only superior components and materials. The compressor, by Sanden-style, is designed to give years of smooth, efficient, trouble-free service. The compressor mounting brackets are designed to be very strong while looking attractive in the engine compartment. They are laser cut and heliarc welded, then coated with a two-part epoxy paint for excellent corrosion resistance. 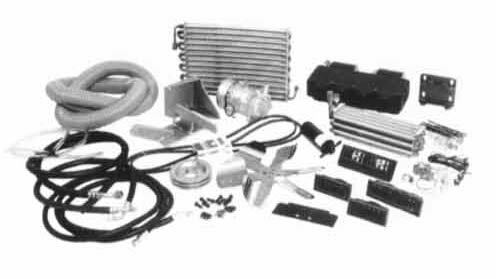 The condensing coil (front of radiator) and the evaporator coil (inside car) are specifically designed for this application. Due to the narrow, tall radiator grille design and the limited dash cavity space in the Pre Cloud and 1955-59 models, there are no mass produced coils on the market that will properly cool this large interior cabin and not allow the engine to run hot. This is a very important consideration if you are thinking of having a local shop piece together a system from universally available parts. The all steel engine fan is black for original appearance. The 6-blade, 35 degree pitch fan moves an exceptional volume of air. All refrigerant hoses are the highest quality nylon barrier with factory-type crimped fittings. 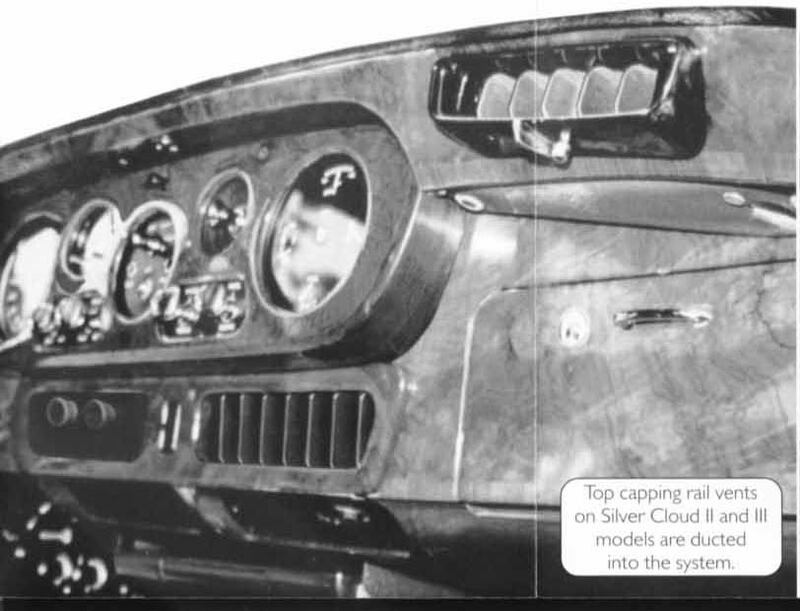 The Pre Cloud solution is largely custom but we offer photo-illustrated instructions for the 1955-65 models and our knowledgeable staff is always glad to answer any technical or installation questions. This quality air conditioning system was created with the attention to detail expected by discriminating Rolls-Royce owners.